Designed to transfer military vehicles between ships at sea to support US Army and Marine Corps land forces as part of the US Navy's 'Sea Base' strategy, Cargotec's innovative 'test article vehicle transfer system' (TAVTS) has now successfully completed sea trials. These were carried out by the US Navy's Strategic and Theatre Sealift Program Office (PMS 385) which is part of Program Executive Office Ships (PEO Ships). "This landmark capability will be a significant enhancement for future sea-basing logistics operations," says Captain George M Sutton, program manager for PMS 385. 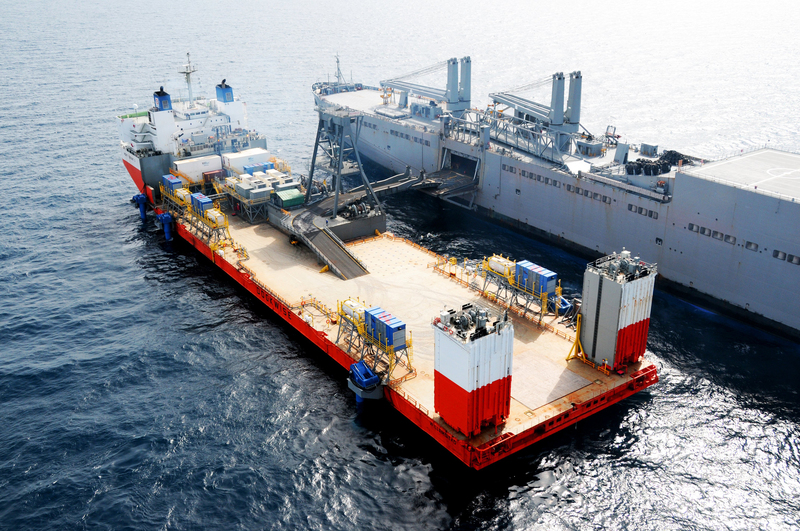 During the trials, the US Navy demonstrated the transfer of vehicles between the surrogate 'mobile landing platform' (MLP) Mighty Servant 3 and the 'large medium-speed roll-on/roll-off' (LMSR) ship, USNS Soderman. 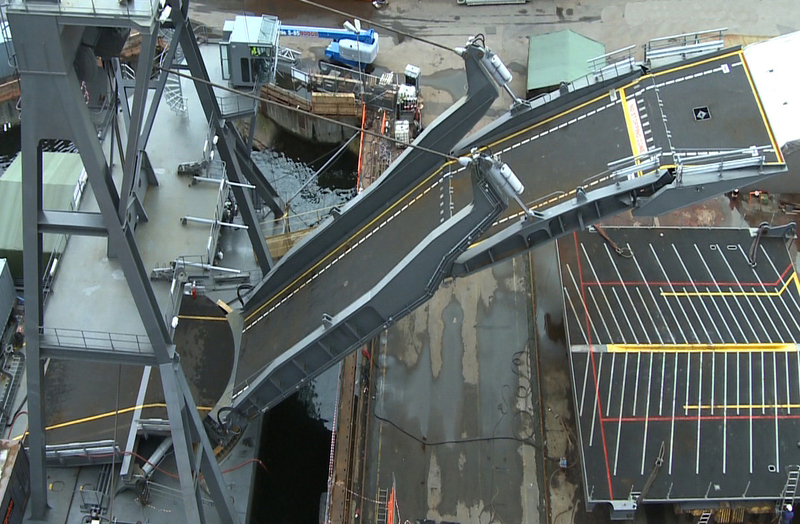 The test demonstrated a self-deploying ramp system installed on the MLP and a new self-deploying sideport platform installed on the LMSR vessel. Deployment and retrieval of the ramp is controllable by one person. 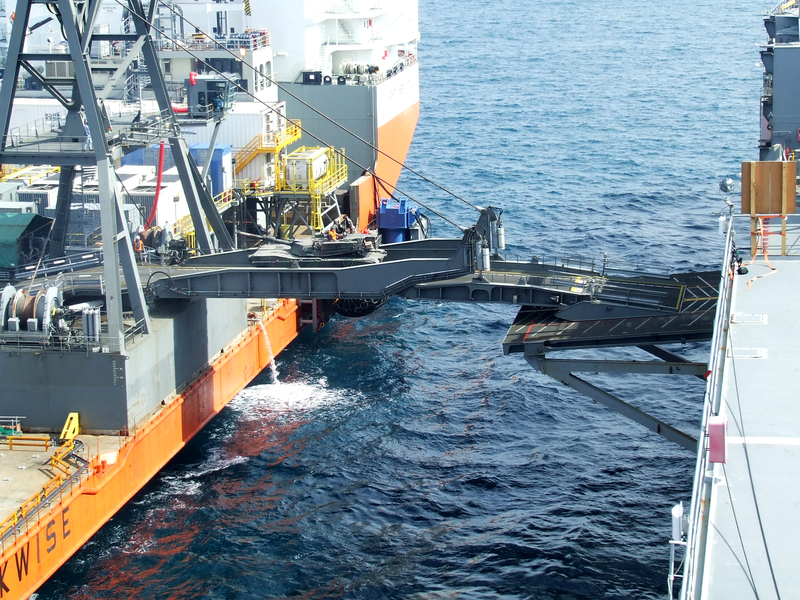 In case of failure, the system can safely continue to support vertical and horizontal design loads and allow emergency ship separation while carrying a vehicle weighing up to 72.5 tonnes (160,000 lb) anywhere along the length of the ramp. Cargotec conducted rigorous harbour trials in Norway in November 2009, and PEO Ships' full-scale testing conducted was successfully completed in February this year. All test procedures were performed using the graduated 'crawl, walk, run' approach: starting with demonstrations alongside and at anchor, progressing to low sea state conditions in open water, and finishing with increasing sea states in open water.